Home Inspection, How Long For Los Angeles & Orange County Homes? How long does a home inspection take? It takes inspectors 2-4 hours for a residential 3 bed 2 bath house. A complete property inspection that also checks for termites and related damage will add time. Los Angeles and Orange County homes and properties are not all the same, so times will vary. The size of the home and kinds of inspections done, also decide inspection length. How Long for a Home Inspection in Los Angeles or Orange County? Things that will affect the time of the inspection are how many systems checked. As an example, how many electrical panels, water heaters, filters etc… Other items like more than one kitchen, pools, spas and water softeners also increase the time it takes to inspect a house. Crawl spaces and attics also add more time to the inspection. Bad weather like rain, extreme heat and wind also slows things down. One good tip to save inspection time for first-time buyers is having a ready list of questions for the inspector. As a rule of thumb, an inspection only lasting an hour is not enough time. It’s just not possible to properly and professionally inspect a home. A detailed inspection report takes 3-5 hours with added research, taking photos, and double checking the report. Home inspections vary because of various things. It’s best when considering a low-priced home inspection to think about getting what you’re paying for. It’s a good idea to speak with the company who will offer the inspection services before the scheduled visit. Talk about all areas being inspected also ask questions. This includes plumbing, electrical, foundation, roof, water heaters, and furnaces. There are a vast amount of items to check in a home, so take your time to know what needs looking at. 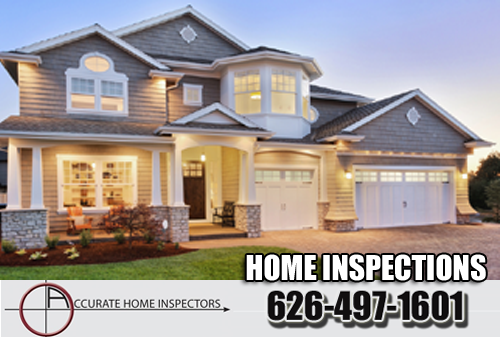 Our company has inspectors in the Los Angeles and Orange County areas that inspect properties of all sizes. If you would like more info on getting a property or home inspection call one of our professional inspectors today. CategoryHow Long is a Home Inspection?